I love that this seat reclines. It looks smart and very comfortable. My baby girl has always settled in this chair. It is heavy but i only take it from car to pushchair frame. I don't bother taking it anywhere else as I would take her out of the seat as she will luckily carry on sleeping. She is positioned very well in this seat unlike some other newborn car seats that make baby's look squashed and bring their chin to their chest. Ability to lie flat so that baby can spend longer time. Love this product! So easy to get in any out of the car! The seat also fits to my pram which was an added benefit! My baby is 6 months and still fits in the seat comfortably. Best purchase as quality for the value for money is excellent. The fact that the isofix base comes with the seat as one very reasonable price is superb. Love the fact can almost lie out little one flat so not squished for long car journeys. Also when little one falls asleep on a journey do not have to disturb him when we get home as take the seat out and lie flat when we get in. Car seat is quite light too. We love this car seat. 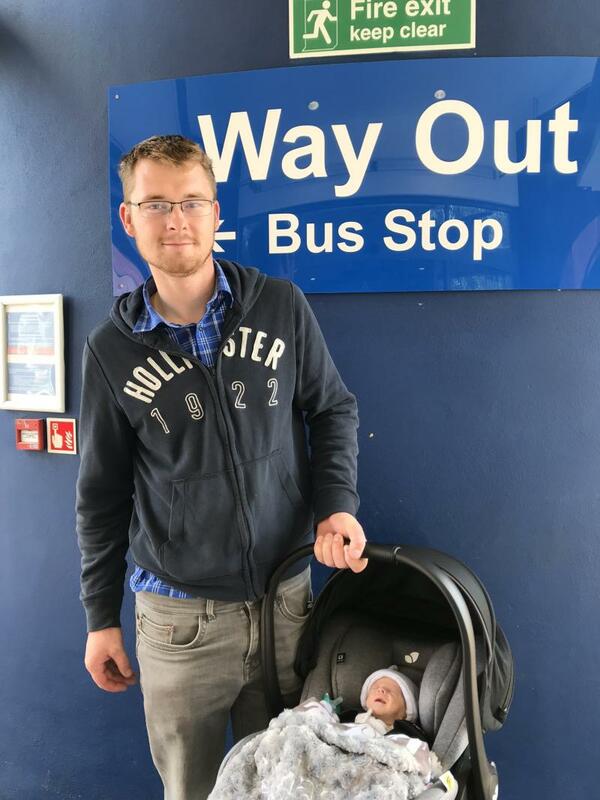 Our baby was born early and when we finally got to take him home he was still only 4lb 3, the car seat padding meant that he didn’t look completely lost in the car seat like we expected. He’s grown into it well and at 6 months old he still has plenty of room. 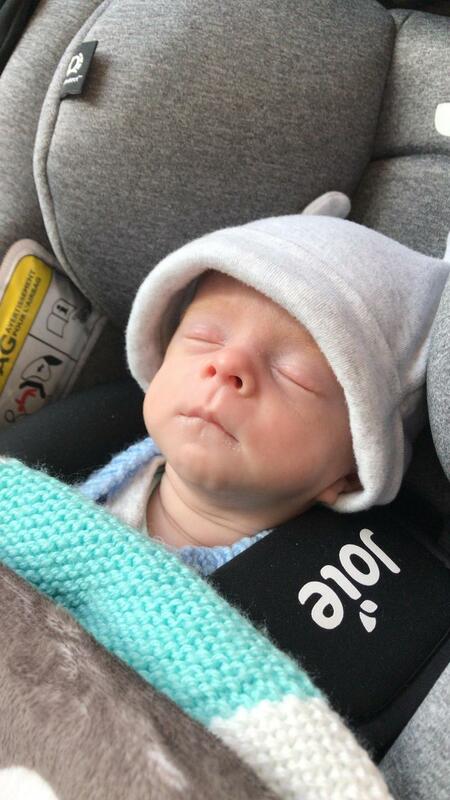 We drove 12 hours to the in-laws house and although we stopped regularly he was so content laying flat in the car seat we just felt safe knowing he was comfy and his airways weren’t at risk. It’s definately made our mind up to stay with Joie for his next car seat! Quite heavy without baby in. Love this car seat. Exceptional extra testing and a great price for an iso fix lay flat option. So easy to clip and in clip from car to pram and with it being lie flat you don't ha e to worry about the strange angle of normal car seats and your baby having breading difficulties. Love this so comfy and spacious my baby isn't squished nor does she look uncomfy or hot . Love the design so easy to fit into car . Worth the money . 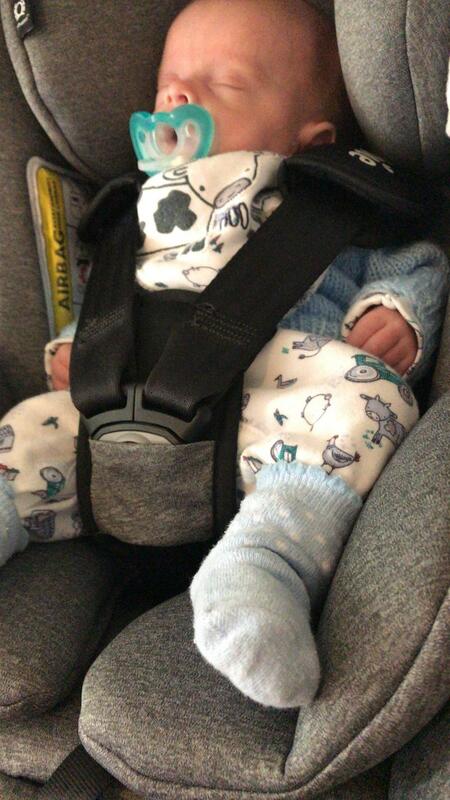 Got a car seat with our travel system, but coming home from the hospital was worried he didn't look supported enough. Why not go I-size nowadays if there's a new safety regulation. Great recline feature means being less worried about the little one. One problem being it only just goes to its flattest in our car (Toyota auris) as it brings the legs up quite high against the seat. Great to have newborn insert to cushion him though he needed it gone before the height they suggest. Easy to adjust. Button to loosen the straps not most intuitive but easily gotten the hang of. Also now baby is heavier the car seat seems so light! Great value that isofix also included, and although not compatible with any older seats. But saves you from wondering if you'll actually want the next size up. We bought this car seat because we knew we were definitely going to drive a lot whilst baby was really young, so we wanted to make sure she can sleep and breathe comfortably for longer. It is a very well cushioned car seat and keeps baby safely in place without wobbling around. It has the same base as a maxi cosi car seat so we can even use it on our stokke pram, using the maxi cosi adapters. 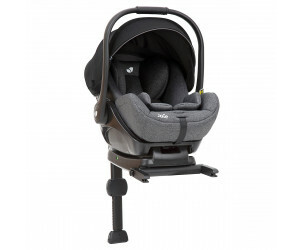 The car seat comes in a lovely grey colour, has 3positions and it looks and feels expensive. It has a spf50 hood it's fully adjustable and it comes with a newborn insert. I would definitely suggest to try it in your car before you buy it because it does take up a lot of space when baby is lying flat and might not fit smaller models. A negative would be that it is on the heavier side and i struggle to carry it alone. I also struggle to take it out of the car(i usually pass this mission to my husband), although it's not impossible once you get the gist. First off I love this car seat! My I laws live over an hour and a half away from us & to know he is lying (almost) flat puts our mind at ease for his breathing! It’s got great amounts of padding and he fits in there snuggly. My only criticism is that now he is 14 lbs the whole thing is a lot heavier than our back up seat which doesn’t recline. Because of all the gadgets to make it lie flat it makes it heavier. Base is heavy but is expected as has to support car seat. I looked at many car seats before falling in love with this one, I loved the fact that it had the most padding compared to other more expensive car seats. The good is great, for shielding baby in the summer and winter. It’s easy to transfer from the car to the pram with the bugaboo adapters. Despite it being quite bulky to carry around, I absolutely love this car seat. 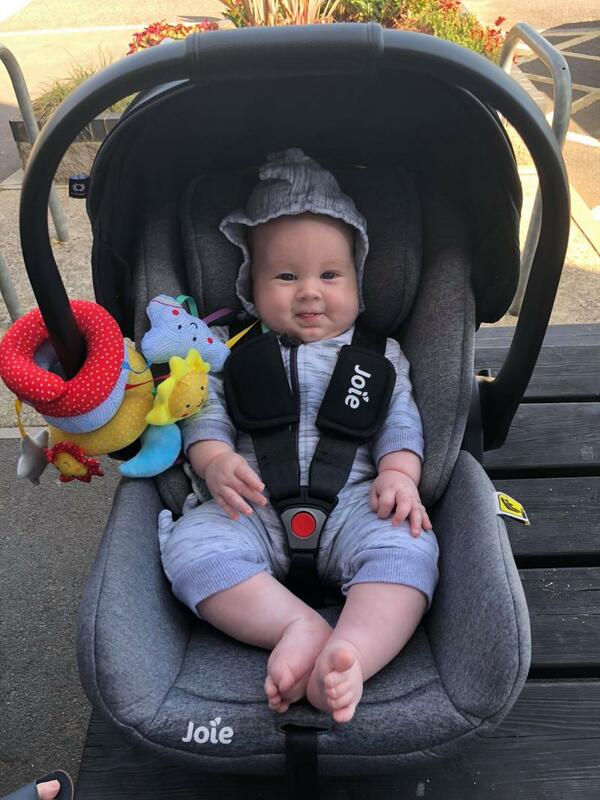 I used it for my lb from birth and he was always comfortable, the recline option is fantastic as I wasn't worried about his breathing as much and he always seemed happier. Very easy to use and adjust, I like the button to loosen the straps. My lb did grow out of it at 7 months, but he was in the 91st percentile, so I imagine most babies it would last longer for. 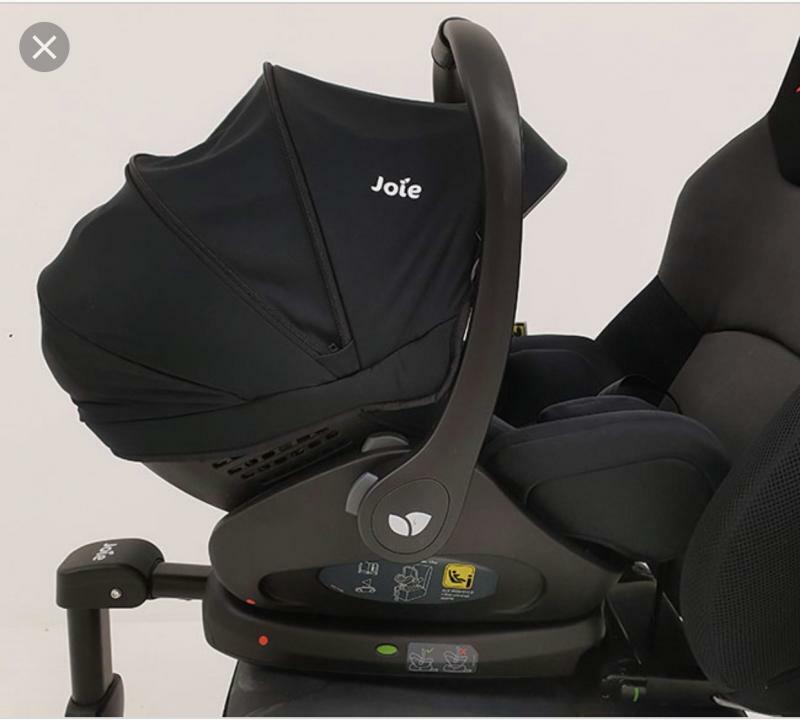 The Joie 'i-Level Car Seat' is a lie-flat lounger when strolling and lie-flat for snoozes in the car, this car seat cleverly transforms in an instant from cuddly carry cot to infant car seat. 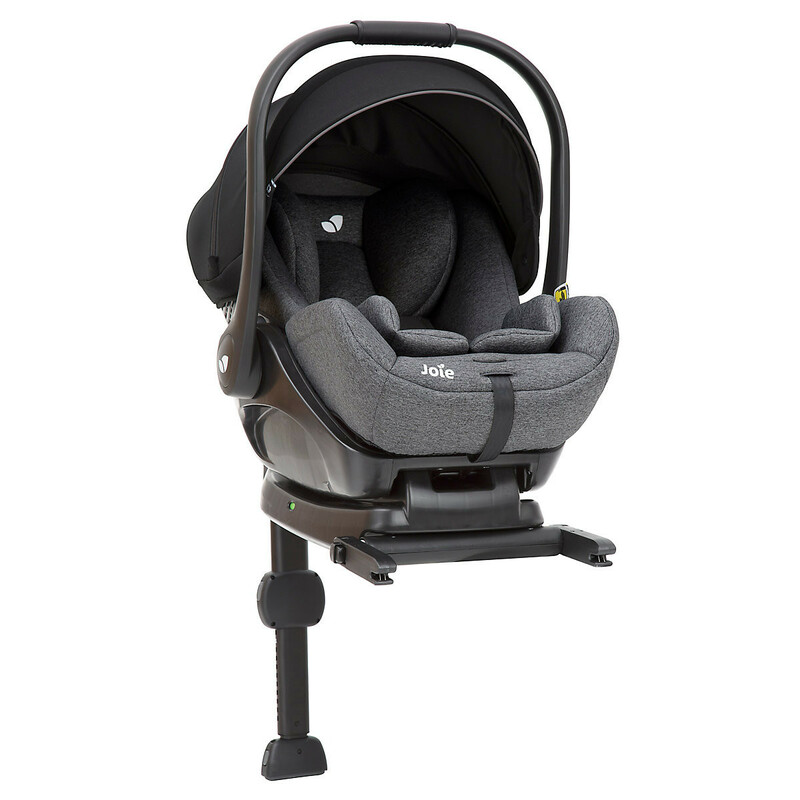 Suitable rearward facing from birth to 85cm (and less than 13kg), the i-Level has patented Intelli-Fit™ foam for total side impact protection while a premium Tri-Protect™ headrest gives three layers of security for your baby. The Grow Together™ multi-height headrest and 3-point padded harness system adjusts simultaneously and requires no rethreading of the harness making it fast and easy to achieve a safe, comfy fit. 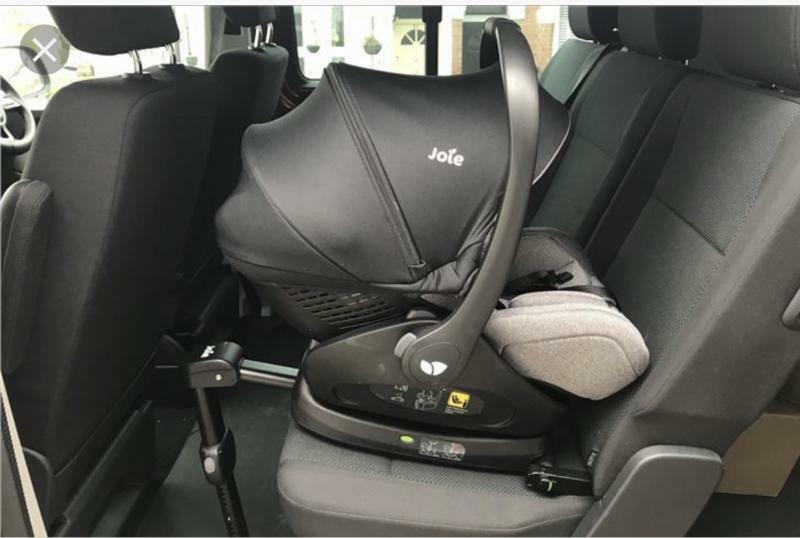 For your comfort, the Joie i-Level has an ergonomic carry handle with soft-grip overmold and for your childs comfort, the i-Level has a full body insert which can simply be removed. The removable sun canopy shades your baby and has a zip-open ventilation panel to keep them comfortable in all weather. 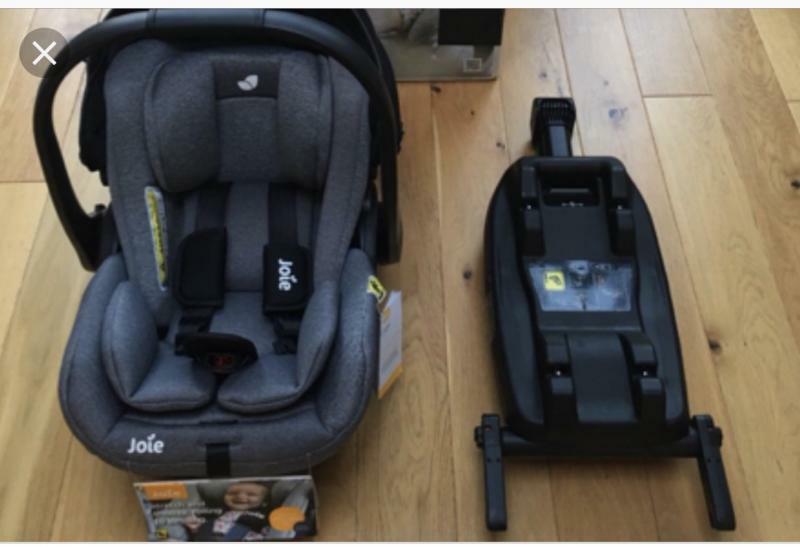 Complete with an ISOFIX base for quick installation, the Joie i-Level is compatible with the Joie mytrax™,chrome™, and litetrax™ 4 pushchairs and with other pushchairs using Maxi Cosi car seat adaptors to form a handy travel system. (pushchairs and adaptors sold separately).